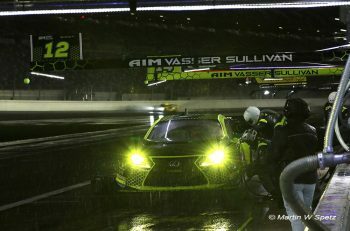 As news is announced that Nissan will be stepping away from racing their GT-R LM NISMO LMP1 car to concentrate on development and testing, DSC’s Editor and Racer’s Marshall Pruett took time to talk to Nissan’s Darren Cox about the road travelled so far, and the future prospects for the programme. 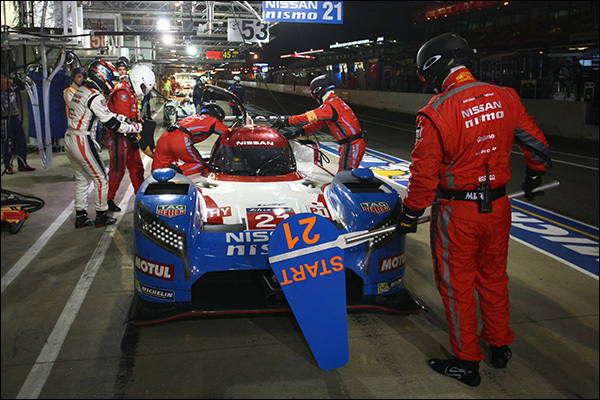 It’s now August, what did the team feel coming away from Le Mans and what has been happening since June? From 14 months after the programme was fully green lit to have three cars at Le Mans looking like an organised, structured and well resourced, in terms of the spares we had, I think everyone is proud. The guys at the shop in Indianapolis should be proud of the job they did. They worked non-stop for the last 9 months before Le Mans to get those cars out and then we had people from all around the world: Japanese, British guys with huge Le Mans experience, Americans that were coming, some for the first time, a truly international effort. They all bonded really well and got the three cars to the test and the race. Obviously, the car didn’t perform as we’d hoped and planned and that, of course is the basis of the decision we’ve now taken to take a pause on the racing side and redouble efforts in testing and development. We’ve already taken steps forward in testing. You’ll have seen the car was out at COTA late last month and there is a lot more to come. We are NOT stopping. The guys in the garage from Le Mans quite rightly took a couple of weeks off but everyone else has not stopped working, the key engineering staff, Ben (Bowlby) and the Management side haven’t taken any time off, we’ve all been planning together how we get the programme back on track. Behind the scenes we had a massive, and massively positive response from the fans to our openness, giving a lot of access to the team and to the drivers, what we always wanted to do. 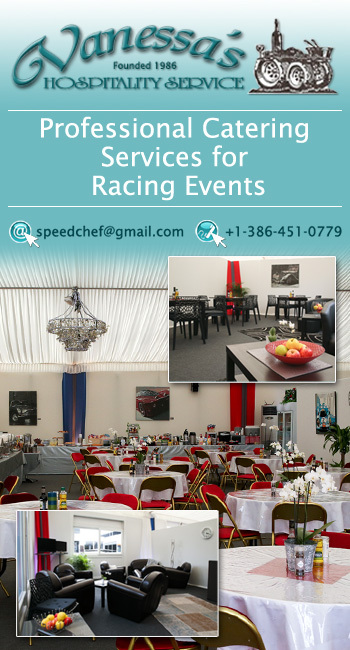 Those that were at Le Mans would have liked what we did in the Village for the fans, those that had paddock access would have seen we were very open in the Paddock. Those that weren’t at the race could have seen NISMO TV, we had three onboard cameras, live chat the whole time, really interacting with the fans. As an example we had 44,000 comments on our YouTube channel, fans really engaging. The reaction we had from the fans, and from the majority of the press too was very positive, very fair and made us all very proud. Some of the major technical issues are now pretty well known: The lack of a working ERS (hybrid) system, the subsequent issues with braking and the suspension problem that likely lost you more time than any other single issue. With the test at COTA now done can you give an assessment against the expected curve of where progress is coming? I think they are the three key areas, and in many ways they are interlinked. The lack of a KERS system had knock on effects with suspension and braking. We were already working on a new KERS system for 2016, we knew a while ago that would be required. That is being progressed and there will be more information on it when things are a little further down the line. The one thing that did surprise us in terms of time lost where we hadn’t anticipated it was the suspension system. Again though it was very much interlinked with the concept of the car and how we were running it (without functional ERS) but the fact was, and there was a great series of pictures and explanations in Marshall’s article, the car wouldn’t run over the kerbs which left us always off line, and always on the dirty part of the track. So not only were you compromising your line through almost every corner you were also getting the tyres dirty through every turn which meant, as a knock on effect, you were losing traction out of those corners and losing a chunk of time, every time, as a result. As with the normal development curve of any car we have addressed any issues on robustness of suspension parts, a relatively easy fix. Beyond that we’ve reworked the suspension and, as the drivers who were at the test have confirmed, the car now rides the kerbs much, much better, we’re a long way down the line of fixing that through major suspension updates. We’re working with different pad and disc manufacturers and putting in a huge amount of effort on cooling. Obviously at Le Mans you don’t need massive cooling but as soon as you get to the shorter tracks that can become an issue so the high downforce kit has big emphasis on cooling and temperature control. 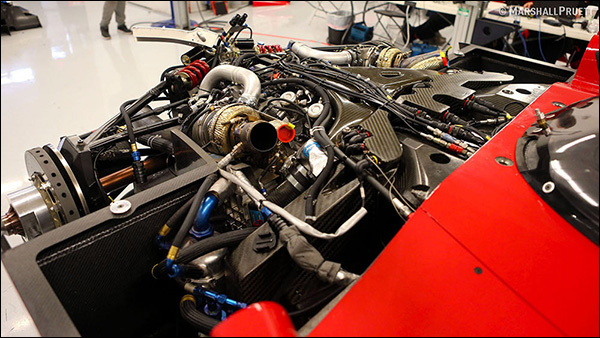 Let’s talk about the engine, it’s been all but forgotten in all the (justifiable) concentration on the ERS issue. How happy were you with that part of the package? Everyone focuses on the design of the car but the engine has been a hidden gem in a way. Of course the longer the lap time the more fuel you use, and because we weren’t doing the lap times we hoped for and because the LMP1 formula is fuel restricted that put another pressure on us which prevented us from using the full capability of the engine too! To keep to the fuel limit we had to lift and coast more than we had planned for so that was another substantial compromise. The engine configuration though on the dyno, and in the car, was as good as we thought it was going to be and we have a number of people knocking on our doors talking about LMP1 Privateer programmes going forward with that engine. We’re very happy with the engine side of things, the top speed we saw at the Test Day was completely down to the power of the engine and the slipperiness of the car. So beyond all of the above is there anything else on the todo list? Of course, a whole list of things as part of normal development, particularly after you gather experience and data of running the car for long periods at speed. 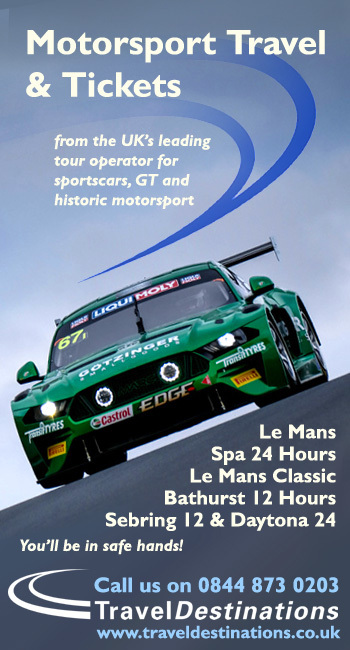 That’s no different for any programme, including, I’m sure, all of the other LMP1 teams. And how did the team find the serviceability of the car. 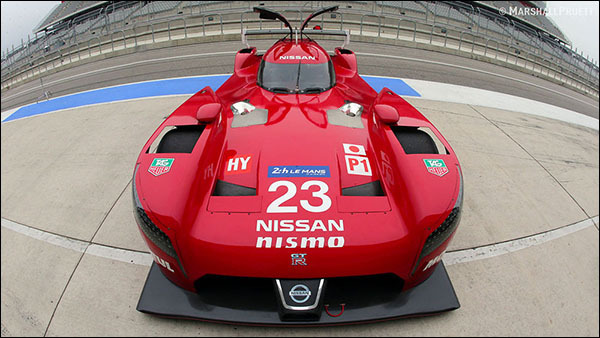 When we first saw the packaging of the GT-R LM it looked very ‘busy’ around the front end under the bodywork? Look at the back there’s nothing in there so of course the front end packaging is absolutely crucial. We knew we’d have to improve it as we went along, look at Audi hitting two barriers and getting their car out in 4 minutes! That shows you the level of this Championship and we have got to repackage the car for 2016 to make the serviceability better as well as to accommodate the revised powertrain. I had some correspondence from a couple of your race team offering some comment on a couple of pieces they were unhappy with from elsewhere – There seems precious little wrong with the spirit of the team. Are there though lessons being drawn from who you have where, who is responsible for what? Like anything, like any team we’ll learn from our experiences. The good thing is that Nissan is a global organisation. We’ve got a unit here (Silverstone), we have a huge operation in Japan. Nissan continues to do well in Super GT, that of course will enable us to utilise even more NISMO and Japanese organisation and resource. I think that a lot of the original race team were ‘guerillas’, with more NISMO guys getting involved as we moved forward. 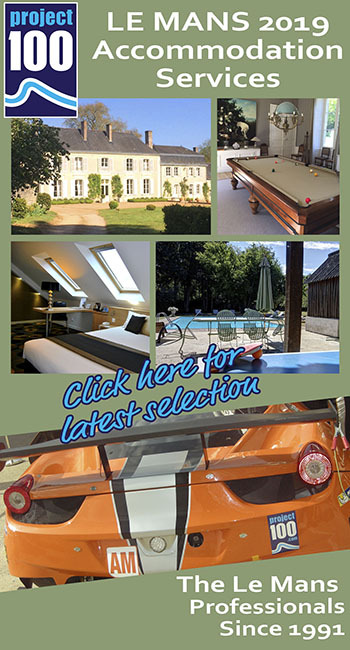 After the start up we are now making further steps to the process that was already happening leading up to and through Le Mans into a more structured organisation. Remember the speed with which this all happened, from no team, no drivers, no infrastructure and the car on the drawing board in 14 months. It had to be a start-up mentality. But any start-up needs to mature into a structured organisation and that means utilising the resources we have, and that we have available. You mentioned earlier some pieces that mentioned a review of the programme – I think everyone should be surprised if there HADN’T been a review of a programme of this size. I know that Audi have a motorsport monthly review, we certainly, across all of Nissan’s activities, have a monthly review. Executives at Nissan are quite rightly very interested in this project so why wouldn’t they review it. There should be more concern if there WASN’T a regular review of a programme as important as this. THAT would indicate a disengaged executive and that is certainly not the case, and never has been. What they are VERY happy with is the reaction from and the interaction with, the fans. 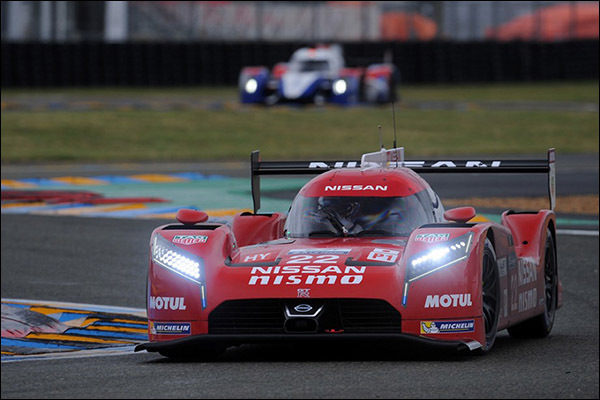 That aspect of the sport is a critical component for Nissan. Look at the NISMO Festival, an event that has been in place for 20 years, an event that is put on purely to say thank you to the fans. That’s where we take our spirit from. 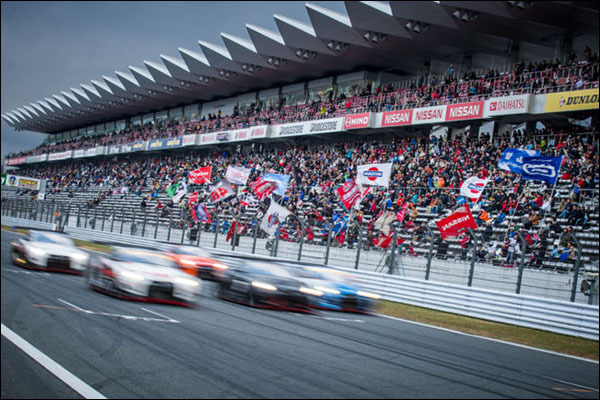 People call it marketing, honestly call it what you want, we’re trying to bring endurance racing to the fans, and we’ll do it again this weekend, Super GT live, for free on NISMO TV paid for by Nissan, promoting endurance racing in a way that nobody outside Japan would see if we didn’t do it. If you choose to call it marketing and don’t like it then that’s a shame but all we are trying to do is to promote our sport to the fans. OK let’s dig into that a little more – some critics have suggested that the tone of some comments from the programme have been ill-judged and disrespectful to you competitors? I think everyone still harks back to one line at the launch out of a huge amount of communication during this programme. As an example, during the month of June we had something ridiculous like 1000 Tweets from NISMO. One line was said at the launch that has been continually repeated, out of context by the way as well, over and over again to ‘prove’ that were were being bullish and over-confident. The Japanese culture is to be respectful and I think we’ve been massively respectful to our opposition, and correctly so. I’m not some corporate guy who has come in and thinks that because we are a great car company we can come in and dominate Le Mans . I know motorsport and I would offer the opinion that the critics here don’t know the people involved whether it be Ben, Matsumura San, myself, we understand motor racing. There is no way we would be disrespectful of our competitors, that’s not how we are! Do you think Audi, Porsche, or Toyota were in any way insulted by anything that was said, or the tone? I’m pretty certain not, I would certainly hope not and if that was the case they certainly haven’t told me that and there has been ample opportunity to do so. And what about you Darren? What’s your position at present? 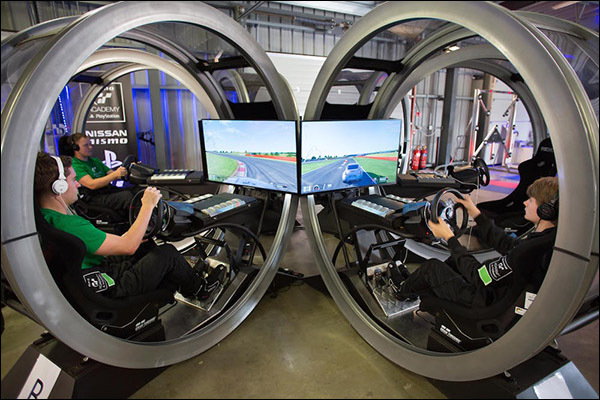 I’ve been fired by the internet on a number of occasions and we are still here at Silverstone welcoming 36 new GT Academy contenders to a still expanding competition, 36 more to come next week from markets where there are 2.4 billion people. We have 15 mentors from around the world and the contestants are travelling with dozens of their regional media with 14 TV series around the world to come. We just relaunched Juke R, one of my other projects from the past, we have Super GT this weekend which continues to grow in success and popularity. LMP1 is a very important part of what we do but because, in motorsport terms, Nissan isn’t a one-trick pony, we race every weekend around the world whether it be in Canada with Micras, Australia with V8 Supercars, Japan with Super GT, Europe with the GT-R NISMO GT3, there are a lot of things to get on with. 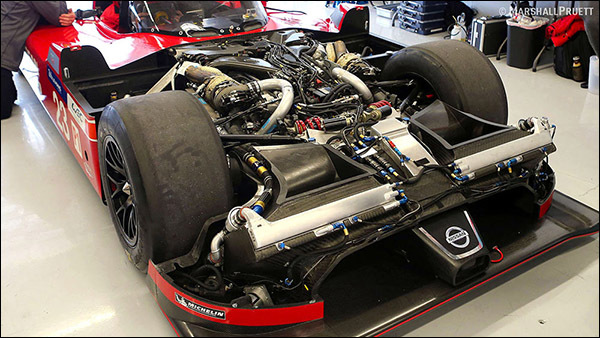 On LMP1, of course, at the moment, the emphasis is, quite rightly on the development and engineering side of things, quite rightly. My emphasis at the moment is on assisting that process and dealing with all of our other programmes worldwide. To put that into context, GT Academy still gets massively more viewers than our LMP1 programme, Super GT is hugely popular in Asia and we are working hard to make that Championship and its reach more global. There is plenty for me to do at the moment believe me as the engineers get to grips with the programme! 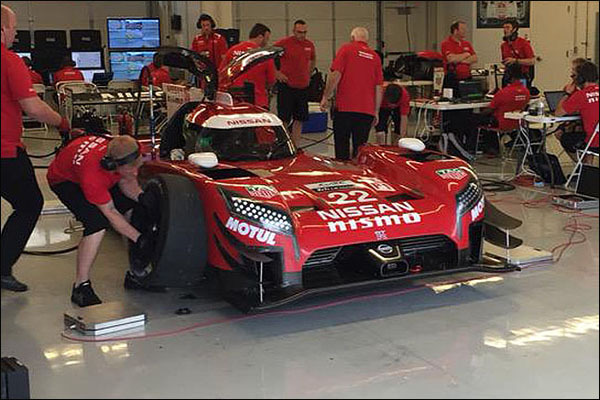 There are also rumours about NISMO in Japan taking more of a role in administering the programme? 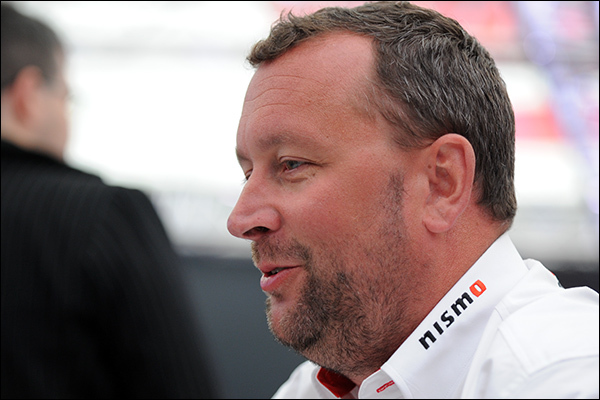 The team has been a start-up but from the very start there has been full NISMO involvement of course. Our COO Matsumura San has been at every test and from day one at Indianapolis we had at least three NISMO guys from Japan and that increased over time as we dealt with the usual issues of visas etc. We are though, as I said, moving from start-up to the next phase of the group and that means utilising the resources we have and, of course, our resources in Japan are strong with fantastic success in Super GT. It would be stupid for us not to utilise that. So when will we expect to see the car back out and racing? We’ll come back when we are ready to show the performance of the car as it was intended to be shown. The focus today is on testing and development and when we are ready we’ll come back to the WEC. So are we talking about potential to return this year without ERS ahead of 2016 with a new system? If we race this year it will be without ERS. We will test without ERS this year. For 2016 the car concept is that the new ERS system will drive the rear – it will be a four wheel drive car. If the absence from the WEC stretches towards, or right to, the end of 2015 will we get to the stage where you are concerned about corporate commitment? No, the release is clear about commitment and increased effort, in particular on the engineering side getting this right and the Corporation will follow. That’s the sensible track to take and the correct order of priorities. So just how committed are Nissan to 2016? We wouldn’t be continually developing and testing if this was some sort of swan song – This is about unlocking the potential of the package in the longer term. We’re already working on the ERS system for 2016 and have been for a while. Everything is focused on getting the car’s ultimate performance out of it and the best way of doing that, rather than flying the whole crew to the Nurburgring and racing is to do more testing and more development in the areas we know have to be addressed with 2016 as the primary focus. What kind of test programme is now expected – still principally in the United States? Predominantly yes but as I said before we have a global team, we have a base in the UK too and of course Japan is very important too with a lot of resource there so – Don’t be surprised to see us testing in Japan or Europe. And am I correct that you’re still hiring? It’s no secret, there a full page ad in magazines in Europe and the USA yes. We want the best talent we can on this. So what is the mission statement right now? Unlock the potential of the car. We haven’t done that and we believe we know what it can do and we need to make sure it is delivered on track now. With the benefit of hindsight what would you have done differently? 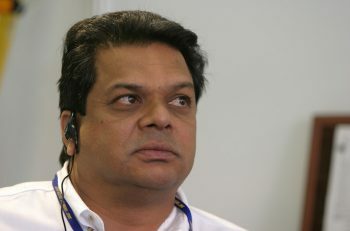 It’s easy to offer the opinion that we should have started in 2016 but the rules change at the end of ’16 and for any major company, building a motorsport programme for one year would not be the right thing to do so this year was the right thing to do, or wait until 2017, which was not what we wanted to do. If the KERS system had worked properly off the bat we’d have been having a very different conversation! On that specific point, I am slightly perplexed by a lack of noise around the failure of the (Torotrak) ERS system. If it had been my programme I think I’d have been a little more forthright in offering an opinion! You win as a team and lose as a team. We made decisions at the beginning of the programme on suppliers and have to live with those decisions. It’s a fair point, but these things happen! How have the WEC and ACO reacted to the emerging picture for the programme? 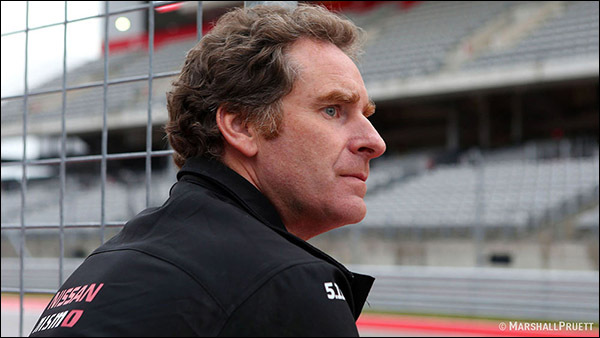 Gerard (Neveu) has been massively supportive from the very beginning, as have the ACO of the programme, and of the decisions we’ve had to make in terms of testing and not racing.